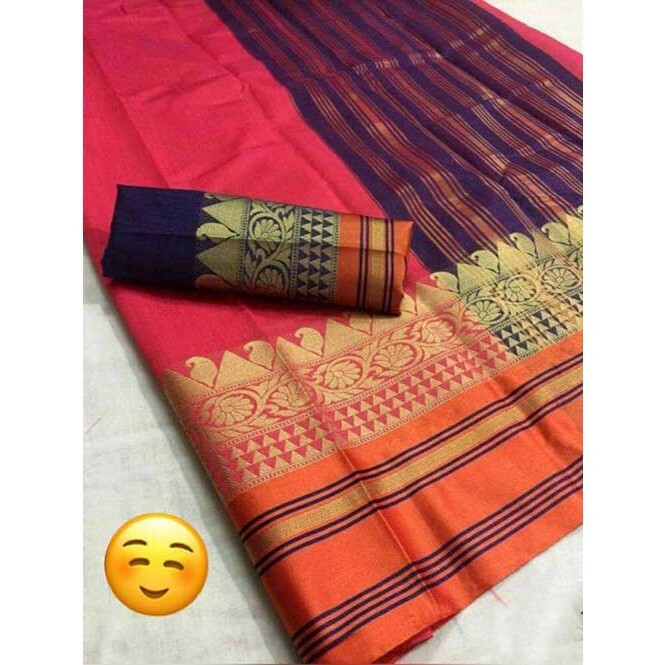 This is a magnificent Pink Color Beautiful Weaving Cotton Silk Saree with beautiful, long soft border and rich, soft golden pallu. 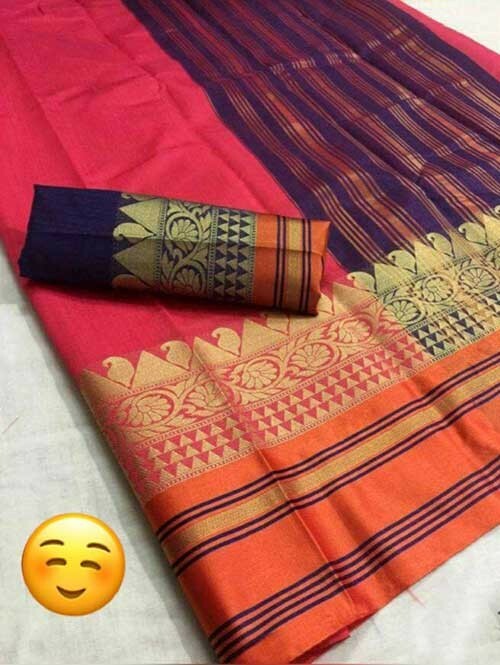 The highlight is the rich, soft long Border and golden pallu that renders a grand look when draped thereby making it suitable to be worn on party, festive and wedding occasions. 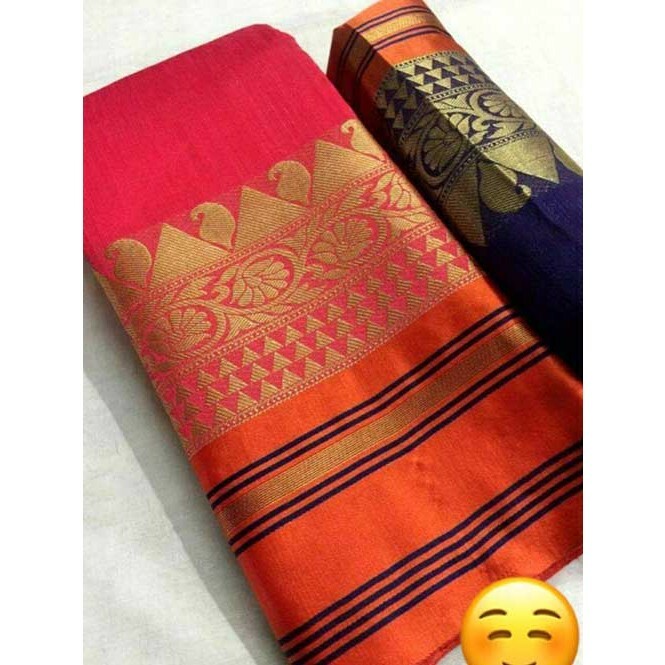 Saree Is Designed As Per The Latest Trends To Keep You In Sync With High Fashion And With Your Wedding And Other Occasion, It Will Keep You Comfortable All Day Long. The Lovely Pallu Forms A Substantial Feature Of This Saree. 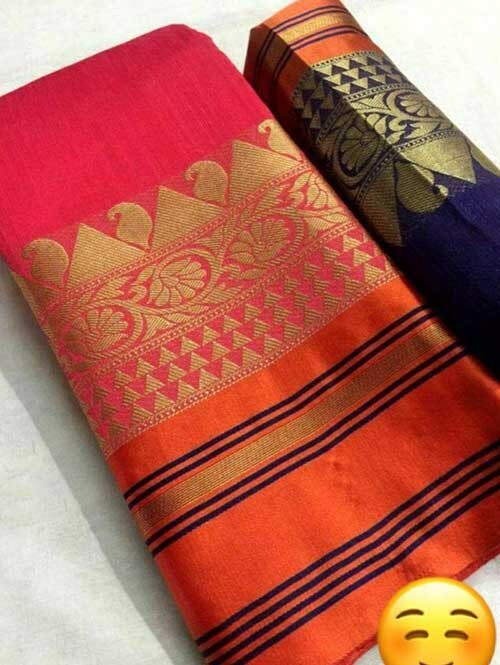 Saree Looks Stunning Every Time You Match It With Blouse.